12 October is World Arthritis Day. The annual campaign aims to increase awareness around arthritis and offer support to those living with this challenging condition. Consistently getting a good night’s sleep can go a long way, as studies have shown lack of sleep can worsen symptoms. Good sleep not only helps your body repair itself, but can also support your mental wellbeing when you’re dealing with pain regularly. Chronic arthritis sufferers will know this is sometimes easier said than done – but by helping to create the right conditions for sleep you can increase your chances of getting good rest. Go to bed and wake up at the same time every day – keeping this routine is essential. Keep technology like televisions, tablets and smartphones out of your bedroom. Many people find nightly rituals like a warm bath, reading before bed, meditating or listening to music can help them wind down and drift off to sleep easier. Experiment and find a routine that works for you over time and if you’re struggling make an appointment to discuss it with your GP. 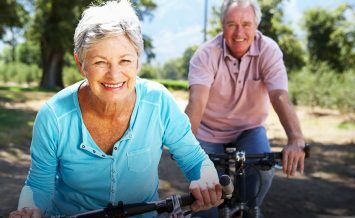 When you’re struggling with joint pain, exercise may feel like the last thing you want to do, but it truly can help. It will not only help you keep your joint mobility up, but can help you sleep better and improve your mood. Try and do a combination of aerobic, strengthening and stretching exercises. Swimming and aquafit, gentle yoga, tai chi and walking are all good options. Warm water is ideal for helping your muscles to relax and to get some pain relief. Epsom salts can be extremely beneficial and are inexpensive and readily available from most chemists. Set the temperature to warm but not too hot, and when you’re in the bath take the opportunity to stretch and move your joints. Rubber bands placed around jar lids can help make gripping easier if you have arthritis in your hands or wrists. Carrying a small pair of scissors with you when you go out also makes it easier to open packages instead of using your teeth. You can make your own heat pack by filling a large sock with rice and knotting it closed. Put this in the microwave to heat up – you can use it to help ease tension wherever you feel it. Most supermarkets now offer dozens of pre-prepared ingredients including chopped garlic, chopped onions, and pre-cut parchment paper to make everyday tasks like cooking dinner less troublesome. 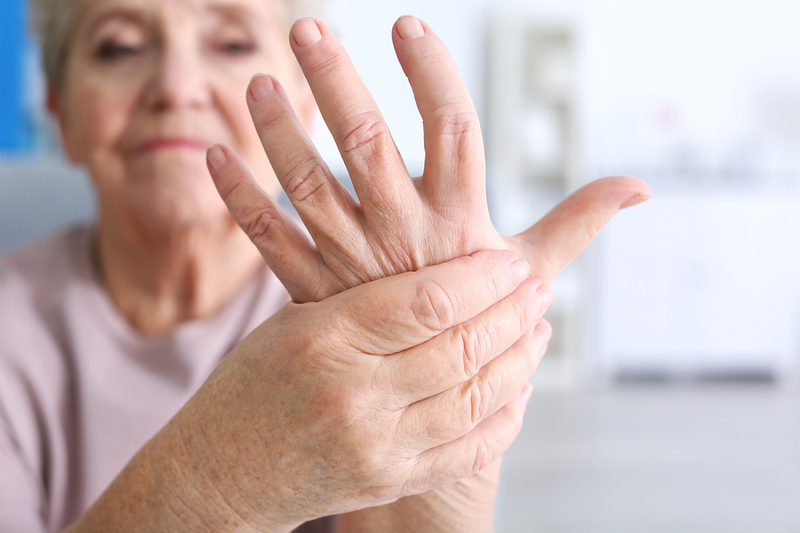 For arthritis sufferers one aspect of the condition that can be particularly upsetting is the loss of independence when it comes to everyday tasks. Think about your routine and look for places you can make life simpler for yourself by making one or two simple changes or getting some tools to help you. For example, a small bar cart on wheels can make moving things around the home easier. Switching to a smaller, one-pot kettle or using a pod coffee machine can also help ease the burden of small at-home tasks like making a cup of tea. Anyone any tips for making ironing easier, apart from taking it to a professional. I can only manage a couple of pr trousers and my fingers become so painful. Looking forward to keeping in contact. Hi diversified looking forward to being with you. Thank you. Arthritis is a very painful condition but not many of us can avoid it. If we can keep as warm as possible and active both help to keep the worst at bay. It can.be helped with the special be rub on creams but it is wise not to use the same cream for a prolonged length of time.